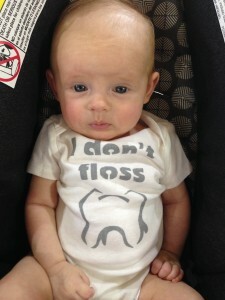 Our hygienist and media manager Amanda welcomed a new baby into the world. Adeline Joyce was born in October. She was 6lbs 5oz and 19 inches long. She is sweet as can be and the family is so in love! Check out her shirt! Comments Off on Welcome Adeline!